In honor of the upcoming Yom Yerushalayim celebrations several top musicians have teamed up to recreate and record the Naomi Shemer classic, Jerusalem of Gold. ​​Netanel Hershtik, a world renown cantor and performer, together with renown Israeli guitarist Ori Avni have collaborated in this musical venture to create a unique and new sound which still remains faithful to its classic source. 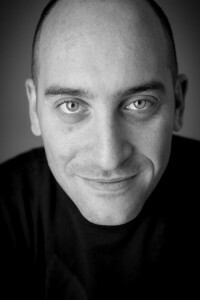 The song is accompanied by a video clip produced by leading Israeli music video director, Eitan Ashkenazi. 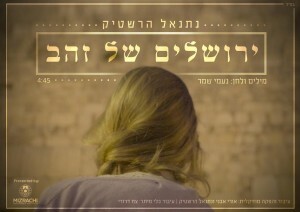 The video clip tells the story of a young girl who gets lost and separated from her parents while in Jerusalem’s Old City– a metaphor for the exile of the Jewish people and their subsequent search for their ultimate home. The project, which is apolitical in nature, is presented by the Mizrachi World Movement. According to its chairman, Rabbi Doron Perez, this project “aims to deepen Jewish identity and in particular our unique connection to Jerusalem as our one and only spiritual home, particularly as we enter the 50th year since Jerusalem’s reunification”. The third verse has been modified from Shemer’s original text and replaced with text from the Lecha Dodi shabbat prayer which calls for the spiritual awakening of the Jewish nation.